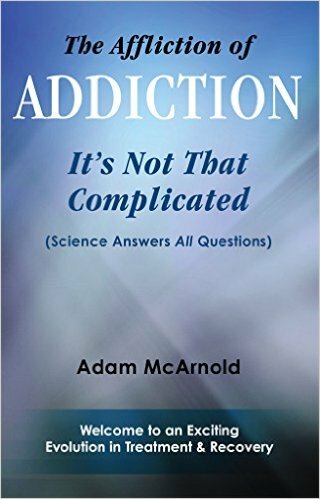 Unlike any other book on the topic of addiction, this one is truly groundbreaking and amazingly unique. It is not so much about opinions or theories, as it is about the proper and accurate application of our new scientific evidence – for the benefits they hold. Through the examination of past and current scientific discoveries, we now hold the answers to all the perplexing and puzzling questions posed to us by chemical addictions; however, there still remains a resistance to its use in clinical practice. This book seeks to address this resistance by providing an understanding of addiction that is truly revolutionary. One that is founded in clinical study and cannot be denied on the basis of belief alone. It puts an end to all the confusion currently in the field and seeks to unite us all in the fight against chemical addictions. It is founded on the principle that through greater understanding, there will come better treatment outcomes; and thus, reduce the need for multiple treatment episodes. This is something the field of addiction is in dire need of, and now is the time to put it to use. 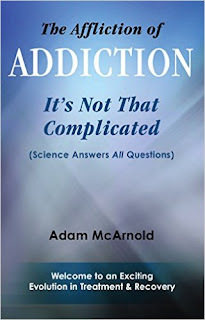 His book contains vitally important explanations for people with addictions; explanations that all people need to know if the stigma of addiction is ever going to be extinguished. They are especially important to those with addictions because of the power they hold in their ability to reduce shame and guilt, conquer episodes of doubt, and provide a solid foundation for a complete, unwavering, and satisfying recovery. Therefore, if you are a person with an addiction; a person affected by the addiction of another; a clinician in the field; or a student in any field of human service, then this is the book for you. You need not look any further. The future is right here.